PC Printer Repair, Dallas Home PC Service, Software Deployment, Oak Cliff Dallas Computer Hardware Repair, Computer General Networking, Dell PC Repair Service in Oak Cliff Dallas, TX, Microsoft, Dallas PC Printer Repair, Avg Virus, PC Support in Dallas, TX, Virus Software, Wiring, PC PC Repair in Oak Cliff Dallas, Texas, Hardware, Computer Repair And Service, Dallas Network Repair Company, and Computer Consulting in Dallas, TX. Consulting and Outsourcing differs in the sense that Outsourcing implies you do not have or have limited in-house IT support and Consulting implies you need an expert in a particular field. 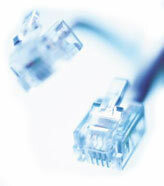 Metroplex Tech provides data, phone and network structured wiring and cabling services for the entire DFW Metroplex. We offer complete commercial solutions for copper and fiber wire and cable installations. Our services include network design, installations, diagnostics, upgrades, testing, documentation, maintenance, relocation, and much more. Whether you are adding a single workstation, networking a few stand-alone PC's or implementing a office wide network... we'll get you connected. Wherever data, video or voice communications are needed, a cabling infrastructure is required to support it. A Structured Cabling System (SCS) solution provides all the communications wiring and cabling for an entire home, office or building in a unified, centralized and structured manner, allowing the flexibility for every user to connect to services such as, data (computer), voice (telephone/intercom), cable or satellite TV or even video (CCTV). We offer comprehensive solutions for new data, video and voice structured wiring and cabling requirements. We use the highest quality cables and hardware, and the latest networking technologies. Our structured cabling systems installation methods are designed to be organized and efficient. We design and build our cabling infrastructures and data networks so they will be scalable and will make office environments expandable, easy to manage, and well organized. Our crew of experienced infrastructure wiring technicians installs all types of data, voice and video cabling. Whether it's in new construction or an existing office environment, Metroplex Tech can provide for all your infrastructure wiring and cabling needs. Structured cabling is the cabling and connectivity products that integrates the voice, data, video, and various management systems of an office or an entire building. Structured cabling consists of standardized set of media and layouts, cables, standard connection interfaces, and total system design and installation. The structured cabling system supports voice, data, video, and management features. Structured cabling is usually installed into new offices or buildings as a standard or add-on feature. It support intercom systems, security systems, video and audio for home theater systems, computer networking, digital cable or satellite TV, and of course telephone system. A home with structured cabling usually has a wall control box located in a central closet that interconnects all components and all rooms throughout an office. The structured cabling functions are then assessable by wall outlets with the appropriate connectors based on the design of the structured cabling system. Structured cabling in most cases used for computerized networking technologies and solutions. We always consider Cost vs. Benefit when providing service. Our invoices are always clear and descriptive. Our work functions as expected or we return at no charge. We provide rapid same day service for emergency support. We arrive on time, as scheduled, to start a wiring project. If we can't perform our work then you will not be charged. If you have any questions about our various Wiring options for your company please Contact Us or give us a call at: (214) 685-0886.